Description Red cherries in rain drops. 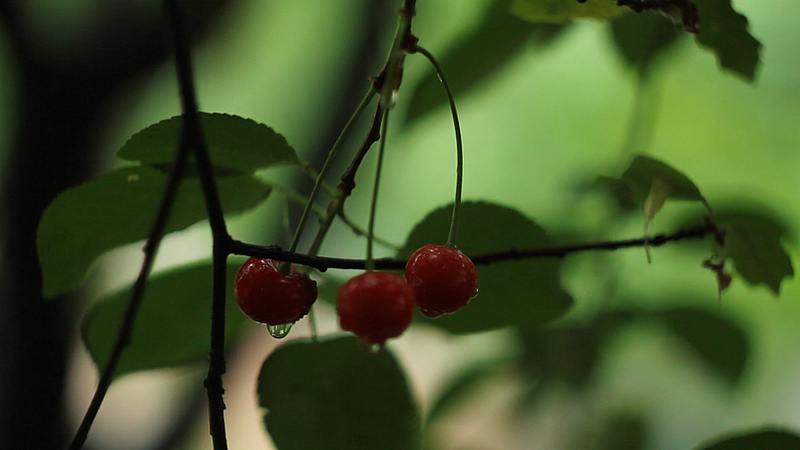 On the twig grow three cherries. They are in the drops after the rain. Their slow rocking wind. Bush of wild grapes in the rain. Rose bush in the rain. Bush of flowers in the rain. Shrub roses in the rain. On the sky gray clouds float. Bumblebees collect nectar on yellow flowers Rudbeckia. The wind shakes Flowers Rudbeckia. Flowers Rudbeckia slowly swaying in the wind.